FREE WI-FI !!! 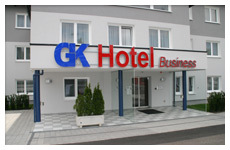 "freewave hotspot"
The G&K Business hotel is located 15 km south of Vienna. We do have 85 air-conditioned rooms, equipped with shower, toilet, cable TV LED 32'' with 140 channels and Internet. 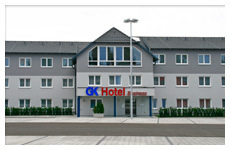 The large number of single rooms is very interesting especially for trade and/or business travellers. Guests enjoy a rich buffet breakfast from Monday to Friday and our own parking space. Another benefit is that you can reach the public transportation to Vienna and Baden by foot in a few minutes. We would be pleased to welcome you in our house soon and we wish you a pleasant arrival.